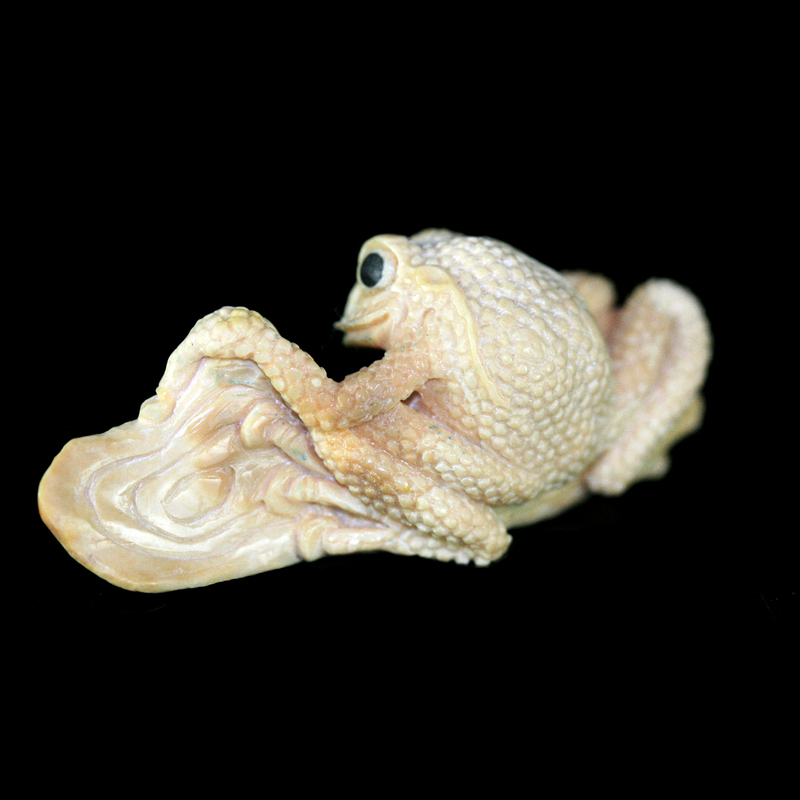 ﻿ Animal forms : An Eskimo Inuit fossil walrus ivory carving depicting a tree frog on a branch. 01.An early Islamic glass bead. 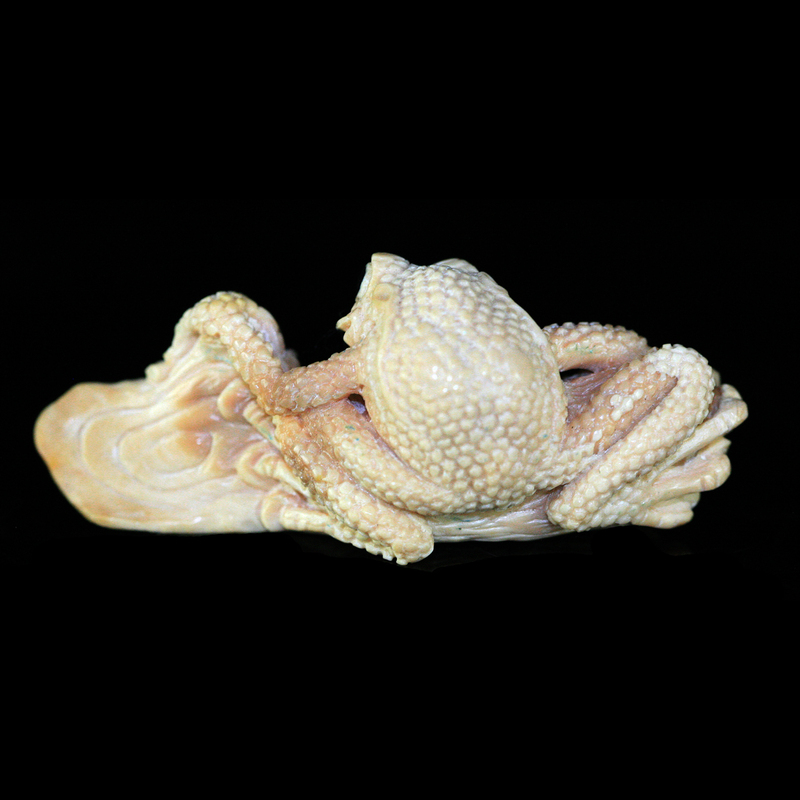 An Eskimo Inuit fossil walrus ivory carving depicting a tree frog on a branch. 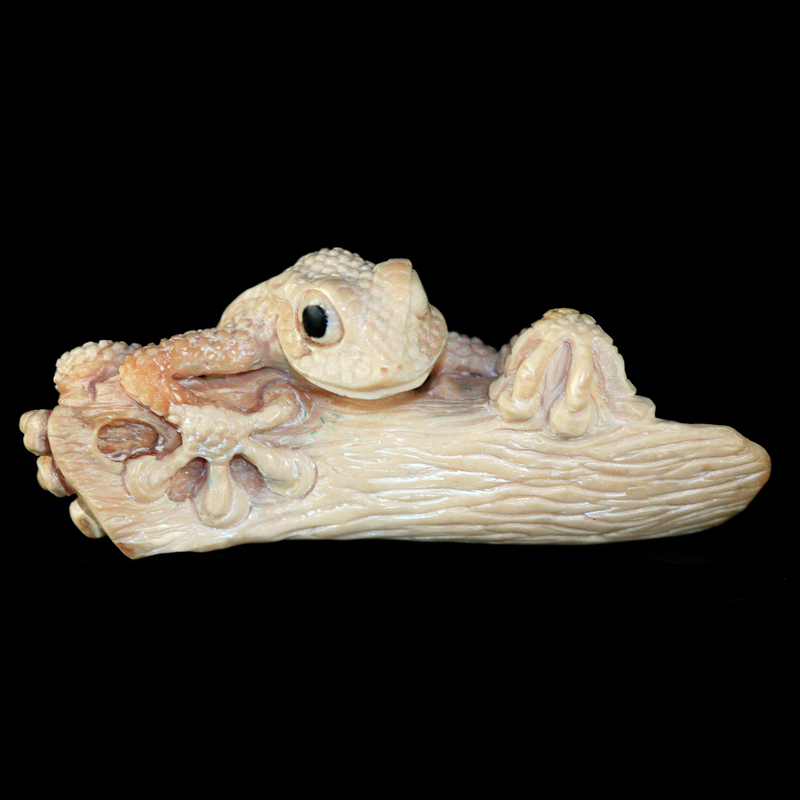 A finely carved and polished Eskimo Inuit fossil walrus ivory carving depicting a tree frog on a branch. Ivory circa approximately 10,000 years old, Carving mid 20th Century A.D. Bering Sea, Alaska.